I absolutely think that if you made the 'claw reps' relatively affordable that most games who are sick of terrible boffer-style NPC weapons would be happy to stock up on pairs of claw weapons. Ideally these would be no longer than 32" total bringing it under 'short-sword' length. Gripping it by a cross-piece is likely your best-bet with 3 'blades' (claws) coming off a rounded handle. 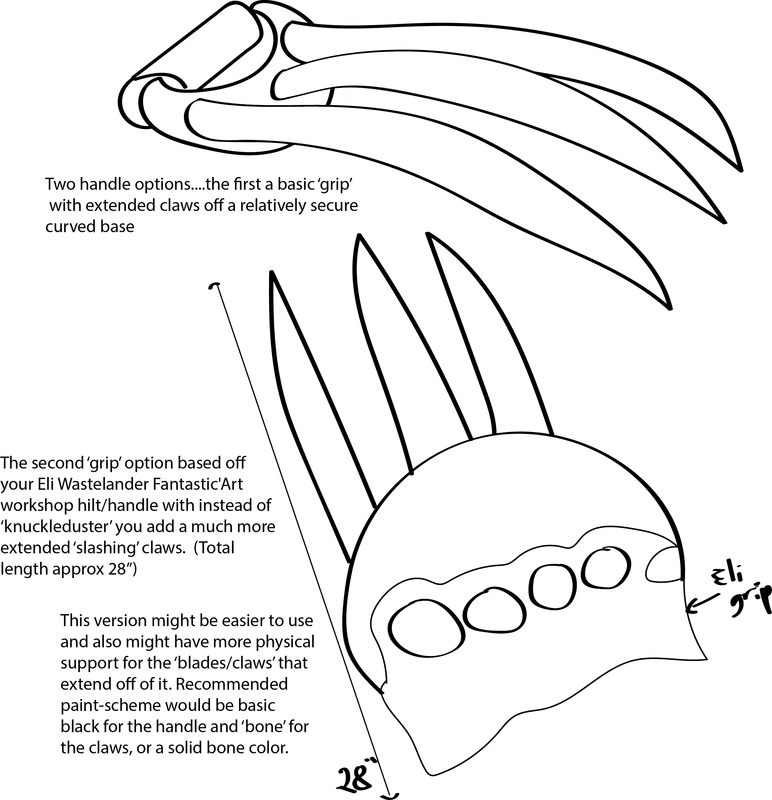 Alternately, using molds you already have, modify the 'eli' wastelander hilt to add a more supportive structure to the claws as seen in my diagram above. I think your main issue would be finding a way to make them easy to mass-produce at a rate that is affordable to the Management of games to buy them in bulk.